Choosing the right tax professional is a very important decision. Now don’t get me wrong. Getting a good plumber is important. And of course, getting your car fixed up properly is definitely something you want done right as well. But, taking the “filing of your federal (and state) tax return” lightly can be a huge mistake! 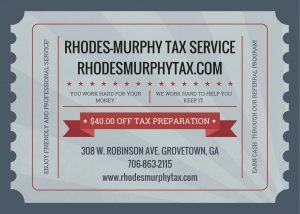 At Rhodes-Murphy Tax Service, we promise to prepare YOUR tax return correctly so YOU’LL be KEEPING all the money that’s supposed to be YOURS, without fear of an IRS audit! And if YOU’RE due a tax refund, we promise to get YOU the BIGGEST and FASTEST tax refund allowed by the IRS! And finally, if our tax professionals don’t bend over backwards to help YOU and YOU’RE not satisfied with our efforts to help YOU deal with the IRS, we want to give YOU your money back … period! And by the way, if we ever do make a mistake preparing your tax return (it happens sometimes … hey — we’re human, too) DON’T WORRY — we always stand behind our work so we will pay any penalties and interest on our mistake. Just bring in the first IRS letter you receive and we’ll take care of the rest. The chances are so slim this could happen to you, but just in case, we want you to know you’re STILL protected by our guarantee! The IRS is not like your plumber. When you choose the wrong plumber, what happens? You either don’t get your problem fixed the first time and the guy has to come back – which is a pain. Or, the plumber tracks dirt on your carpet walking in your home and you’ve got to clean up after his mess. Again, a hassle and an inconvenience. In the case of picking a bad mechanic, the wrong guy can screw up your car big time! I actually hate it when this happens. (My guess is we’ve all had some person do something to our car one time in life that turned out to be a royal pain in the tail.) Either we had to spend more money to fix something else with our car or we never got the problem actually resolved or it took SO many trips to the garage to fix our automobile that once the ordeal was over, you’d just as soon walk to work now! Again, these kinds of poor choices on our part cost us extra money, time and a lot of aggravation. Choosing The Wrong Tax Professional To Help You File Your Taxes Could Put You In Some Serious Hot Water With The IRS! Let me ask you a question. Would you rather have to call another plumber to come fix your leaky pipes or get a nasty letter from the IRS threatening to freeze your bank account if you don’t pay a large sum of back taxes, including penalties and interest? Yeah, me too. I’d rather call another plumber or make another trip back to the auto mechanic’s garage to fix my car right. But having to deal with the IRS by myself? No thanks! Even if I didn’t owe a ton of back taxes, I still don’t want MY RECORD to show some IRS agent that there has been some discrepancy in the past so RED FLAGS start to fly and more bureaucratic people begin looking through all my past tax filings and current income holdings and basically, taking my social security number and poking around in my private life! (If you think they won’t do this, the wool might have already been pulled over your eyes …) They can do a lot of things you won’t want them to do. 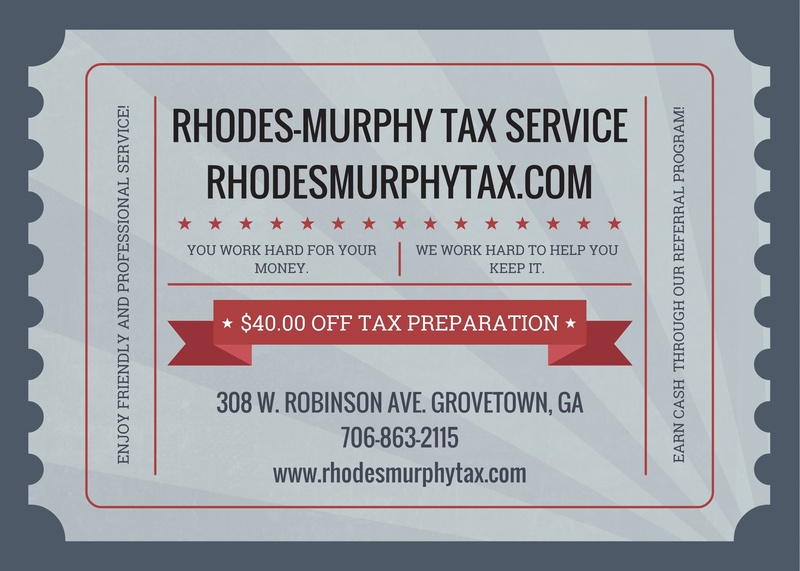 However, if you keep a clean slate (no IRS correspondence with you related to filing your taxes correctly), the opportunities for them to mess with your personal stuff will be limited.